Once women get over the age of 50 or 60, they often begin to pay more attention to their fitness routine. Some may have never paid much attention to fitness, others may have been happily plugging along throughout the years with one. Either way, they realize that for older women there are some changes that take place, and it may be time to take another look at their fitness plan. Fitness is always important, but even more for older women. It’s important to stay physically active. Not only will it help you to be healthier, but it will keep you mentally feeling better, and you will be able to get around better despite the years coming and going. According to the Centers for Disease Control and Prevention (CDC), adults need to get 2.5 hours of moderate intensity exercise per week, such as brisk walking, or 75 minutes of vigorous intensity aerobic activity, such as running. But it doesn’t stop there. In addition to the cardio, you should also be engaging in muscle strengthening activities at least twice per week. This includes doing some strength training exercises that will target all of your major muscle groups, such as your abdomen, legs, chest, etc. The CDC finds that older adults, however, may want to increase their activity even more, opting for 5 hours per week of moderate intensity exercise or 2.3 hours per week of vigorous intensity exercise, with both being in addition to the two days of strength training exercises. The right mix of cardio and strength training, as recommended by the CDC. This will ensure you get the cardio and strength training that is necessary to help keep you fit. Add in something like yoga or tai chi every week, to help with stress reduction, balance, and flexibility. Always be sure to include a warmup and cool down period, no matter what type of exercise you are engaging in. This will help to protect your muscles and reduce risks of injuries. Your warmup and cool down should include properly stretching so you can avoid sore muscles and help with proper recovery after a workout. Ideally, it’s a good idea to create a fitness schedule. You have to schedule when you will do your exercising, and you have to hold yourself accountable. It won’t matter much what type of workout you have if you don’t stick to it and hold yourself accountable. Plus, it’s a good idea to work with a personal trainer. 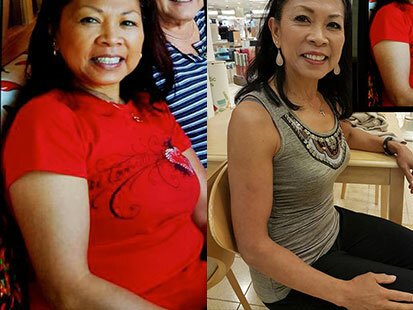 As a personal trainer who has helped older women and men with their fitness goals and workouts all over the Pacific Northwest, I know that it’s possible for older women to get fit, and stay that way! I’ve helped many older women to do it, and can help you, too! What does functional aging mean for men and women over 50? As a personal trainer who works with older adults in the Vancouver, Washington area, I learn a lot about what this group of people focuses on. Too many of them tend to focus on their chronological age, which is how old they are, and use that number to help determine whether or not they think they engage in certain physical activity. The good news is that it doesn’t matter how old you are chronologically. What matters is your functional aging! Functional aging means to live well. It’s just that simple. Rather than focusing on the number that your driver’s license or birth certificate shows you are, you are focusing on how well you are living. By engaging in functional aging, you are refusing to let the number of years you have been on this planet be the driving force for living your life and whether or not you engage in physical activity. Things you need to do. There are things that we all need to do in life in order to be happy, healthy, and keep our lives moving forward. Determine what those things are for you and make them happen. Things you enjoy doing. When is the last time you asked yourself what you really love to do and then went and did it? Now is the time. Have some fun and spend some days really engaging in something that you enjoy doing, whether it’s knitting a new blanket or honing your dancing skills. Make sure that you have fun on a regular basis by doing something that you enjoy. Things you dream of doing. What is something you have always dreamed of doing and haven’t yet done? Write a few of those down, then start by picking one and making it happen. The only way to make the dream a reality is to put it into action. It should go without saying that you need to exercise. Even those who don’t want to face up to it realize that regular exercise is crucial for being healthy and having longevity. By living a life that focuses on functional aging, you will be able to raise your standards, reach for new goals, and be open to new opportunities. The days will pass anyway (if you are fortunate), so you should make the most of them and do what will help you live a more quality life and help you enjoy these golden years more. Take life by the horns today and choose to focus on functional aging, rather than chronological aging! If you are a woman over the age of 50, you may have realized that you can’t manage weight quite as well as you once did. That’s because as we age, it becomes more difficult to do so. There are numerous reasons why this happens, but the most important thing to keep in mind is that you can still lose weight. You just have to know the rules of the game and then put in the work to beat it! Once women reach middle age, and especially past 50, their metabolism begins to slow down. This means that extra weight may begin to show up, and it will be more challenging to lose weight. If you have slowed down and are not as active as you may have once been, then that is going to add to the problem, making it even more challenging. Exercise. Evaluate whether or not your exercise routine is meeting your needs. Ideally, you need at least 150 minutes per week of moderate intensity aerobic exercise, which is brisk walking or something that will get your heart rate up. Weight training. After 50, you begin to lose muscle mass, making it important that you engage in weight training. Opting for two days per week of weight training will keep your muscles revving, which will keep you stronger and burn more calories. Protein. Many women over the age of 50 are not meeting their protein needs. Be sure to get plenty of lean sources of protein, such as tofu, eggs, beans, fatty fish, etc. Diet. This is the time to kick up the amount of fruits and vegetables that you are consuming. Loaded with antioxdants, they will also give you a great energy boost and help keep your metabolism going strong. Stress. When your body is stressed it releases cortisol, which will lead to weight gain. It’s important that you find a healthy way to reduce stress, such as by engaging in yoga, Tai Chi, meditation, etc. You probably already know many of the things you need to do in order to lose weight, but you may find it challenging to stick with it. Being consistent is a key component to losing weight over the age of 50. Working with a personal trainer may be the ticket you need, as they can tailor your program to meet your special needs, and help keep you motivated for the long haul! Exercise for Older Men: The Best Tips! Boomer Fitness, located in Vancouver, Washington. Through my personal training, I’m able to guide them from being skeptics to being men who have taken control of their exercise routine and are loving it. As men age, they begin to see things drop, sag, and get a little lumpy if they are not engaged in regular exercise and eating a healthy diet. This is often how the spare tire around the middle forms. Before you know it, you may not be able to go to the end of the block without feeling winded. The good news is that you can turn it all around, no matter what age you are. It’s never too late! You have to make exercise a priority in your life. For years, maybe even decades, you probably havent’t been serious about it, but that isn’t going to help you live a healthy life. Put it on your calendar, get real with yourself, and make the commitment to have it be a priority. Realize that you don’t have to go it alone. When you work with someone like me, a personal trainer, your chances for success are going to skyrocket. A personal trainer will help create a unique program that works for you and will address your personal issues. You can’t exercise your way out of a bad diet. This means that you need to have a healthy diet to go along with your exercise, so that you have the energy in order to sustain the exercise plan, and you reap the most rewards from it. Set some long- and short-term goals. This is important to do, because without them it can be difficult to assess whether or not you are making progress with your exercise routine. Reward yourself for achieving them, but not with food. Be sure that your exercise routine includes both cardio and weight training. You need both in order to maintain a healthy and strong body. It’s important to get at least 150 minutes of moderate intensity aerobic exercise per week, which is equivalent to brisk walking. Additionally, you should be engaging in strength training at least twice per week. I know the challenges that many older men face when it comes to exercising, keeping fit, and losing weight. I’ve helped many men in the Vancouver, Washington area with their exercise and personal training goals. When you have the right program that has been designed for you, and you have a commitment to sticking with it, you can rest assured that you will be successful with your fitness goals! Exercise for Older Women – You CAN Do It! Having a routine exercise program is critical to having good health and wellness. Your body was meant to move, so it’s important that you keep it moving. If you live a lifestyle that is sedentary, then you will find the weight will creep on and your health will decline. If you are someone who has faltered with keeping an exercise routine, or you haven’t ever started one and you know it’s time to, you are in luck. There’s never been a better time to get started than the present moment. Women over the age of 50 should be getting 150 minutes of moderate-intensity exercise per week. This includes brisk walking, bike riding, or other aerobic exercise that gets your heart pumping. You also need to do strength training at least twice per week. This will help you to maintain strong bones and muscle mass, as well as to protect your balance. You may find that you will be better at sticking to a routine if you have an exercise buddy or do it in a group setting. Many people find that they like the accountability this offers and the community of being a part of a group who all share a common goal. Just get started with something. You can always change your routine later, but having a routine in place is important, so it’s time to get started. Put your exercise time on your daily calendar, because it’s that important and nothing should come first. Working with many women in the Vancouver, Washington area, I have helped them get healthy, get fit, and develop a lasting exercise routine. Even the most skeptical ones who come into Boomer Fitness find that they end up loving it, as well as feeling great! They have done it, and you can do it, too! Many women notice that when they become middle-aged, they begin to put on some weight. Each year, it just slowly shows up, and they may not even realize it’s there until they go to put their jeans on and they are snug, or they step on the scale and see it creep to a higher number. As we age, the changes in hormones tend to lead to a weight gain that people are not ready to deal with. Keep stress down. Many people overlook the connection between excess weight and the stress they feel, but there is a connection. When you are stressed out, your body releases cortisol, which will lead to weight gain. Be sure to have healthy ways in your life that you can reduce stress, such as meditating, yoga, hiking, etc. Become stronger by engaging in regular strength training exercises. The muscle mass will burn more calories and boost your metabolism. Do a diet overhaul. Take a good look at your diet and find a few things you can change right away that will lead to big differences. Maybe you need to ax the addiction to sugary drinks from Starbucks, or maybe you need to replace your big evening bowl of ice cream with a healthier choice. Small changes will go a long way toward adding up to big benefits. Increase your protein intake, which will help keep you energized and eating less throughout the day. Eat plenty of lean protein, such as tofu, beans, fatty fish, nuts, and eggs. Maintain a consistent exercise routine, ensuring that you get at least 150 minutes of moderate intensity aerobic exercise per week (e.g., brisk walking, biking, swimming). Keep some healthy snacks around so that when you want something, you can grab those, rather than reaching for high-fat and high-sugar snacks. The healthy snacks will help keep you feeling satisfied. Be patient and understand that weight loss takes time. It’s not healthy to lose more than 1-2 pounds per week, so don’t try to lose more. If you lose it a gradual pace it will be healthier and will likely stay off longer. Middle-aged women may have a few more challenges when it comes to losing weight, but they can certainly be successful at it. With a little extra effort and focusing on the right things, you can reach your weight loss goals. Working with a personal trainer can help you get there even faster. In the Vancouver, Washington area, I have helped many middle-aged women lose weight, and I can help you, too!